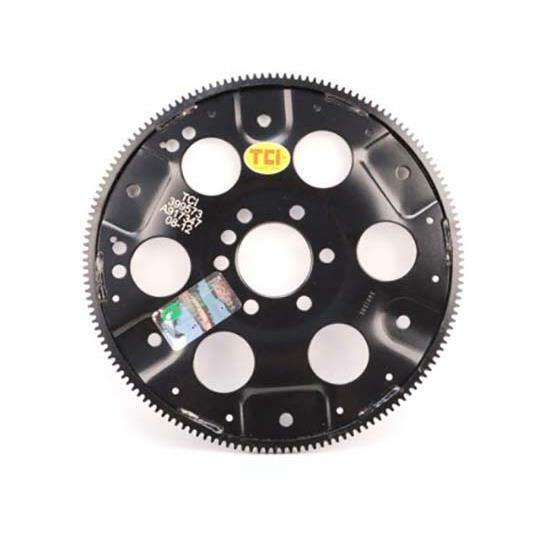 Flexplates are .035" thicker than stock and the starter ring is welded to both sides of the flexplate for additional strength. Constructed from a high tensile strength material, these flexplates resist elongation and cracking. All 168-tooth flexplates have dual GM bolt patterns and are sized for stock 3/8" mounting bolts. They can be easily drilled for 7/16" diameter high performance torque converter applications and are SFI 29.1 approved.